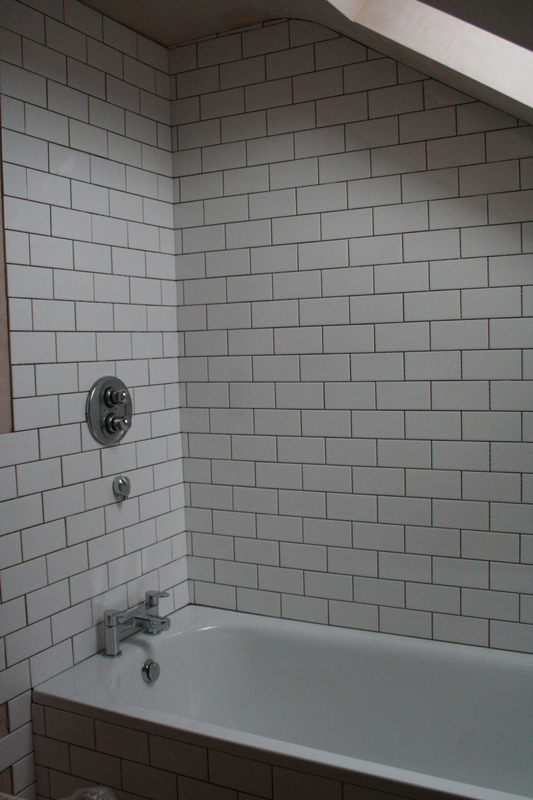 The upstairs bathroom is being tiled and it is looking brilliant, we’re going for grey grout up there for a tiny change from downstairs. Got a wee bit of a tight space issue with a shower screen/curtain. It’ll need some lateral thinking, we have a sloped ceiling, rooflight and a unit to contend with. Sure we’ll come up with a plan. 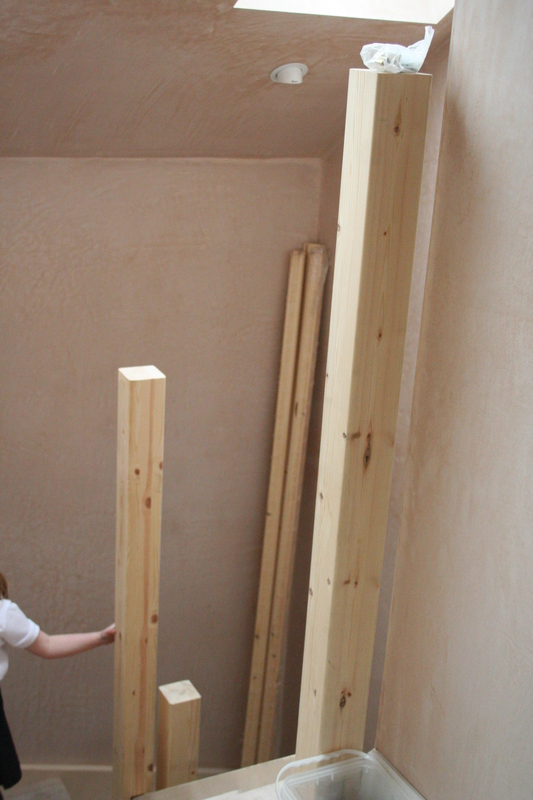 The bannister supplies have arrived and have started to be put in, not something you realise will take lots of thought and time to do properly, but it does. 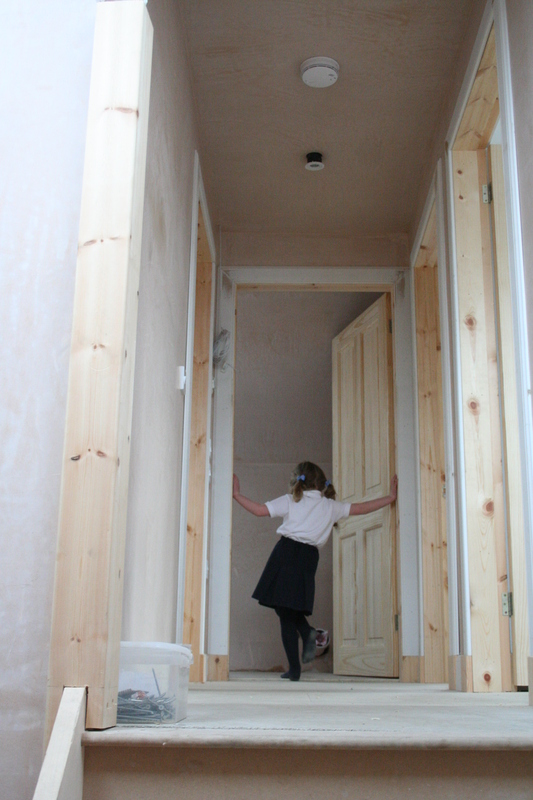 Here’s how the upstairs landing is looking right now. H is going into the bathroom. The upstairs toilet has been removed for the flooring to go in tomorrow and it feels like we are so nearly there upstairs. The radiators have arrived, I’ve fancied them for so long but could never justify changing old ones for. Photo soon, they’re gorgeous – if a radiator could be gorgeous that is. The house is just so dusty it’s not true, no amount of hoovering or quick wiping can get rid of it because every day there’s more dust created. Looking forward to getting over that stage but otherwise I’m still thoroughly enjoying the regeneration process that is happening in this old bungalow. We should be reaping the benefits pretty soon – better stop procrastinating about the painting…….